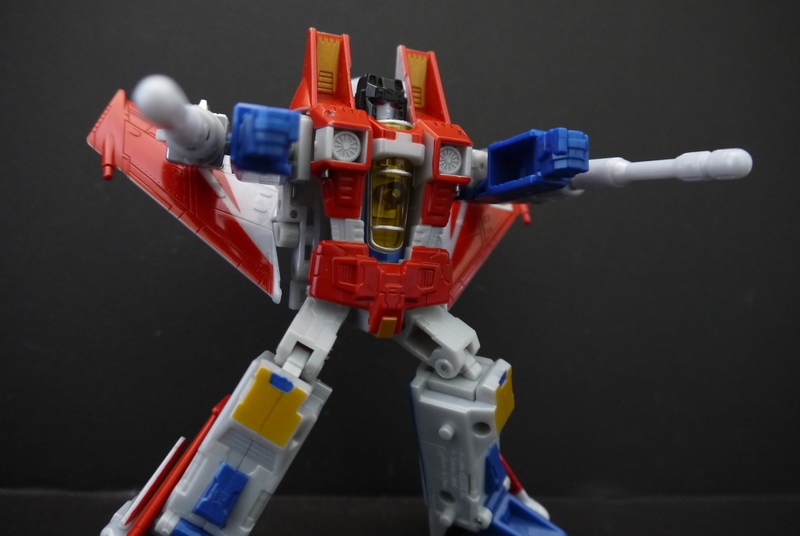 Classics Starscream – I’ve honestly always wanted this figure since it was a really nice representation of Starscream in his classic G1 body, and rather inexpensive. Unfortunately, I didn’t get a chance to grab it when it was out, and came about it by the Giant Bin of Transformers. I love this figure’s traditional and simple design. 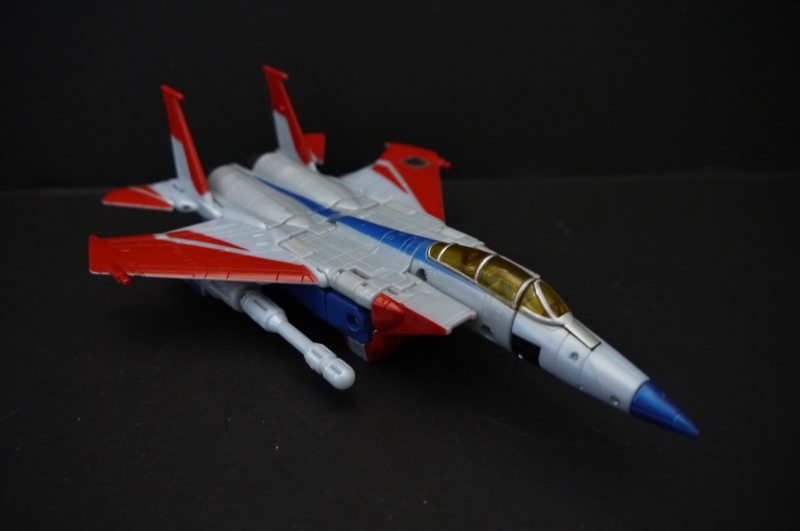 Everything’s solid, done to replicate Starscream’s original design while using relatively modern Transformer engineering. 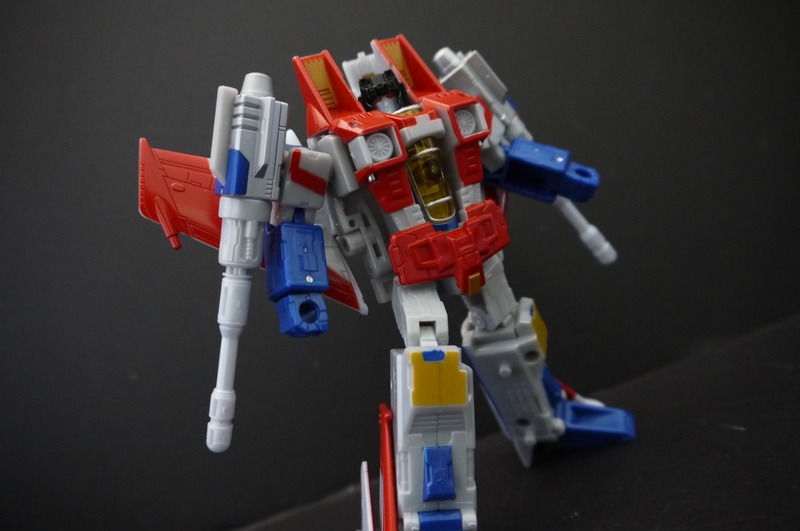 Color breakup is very nice, there’s a lot of panel lines and details all over the figure, though none of it is lined. I don’t really have anything to complain about with the sculpt. 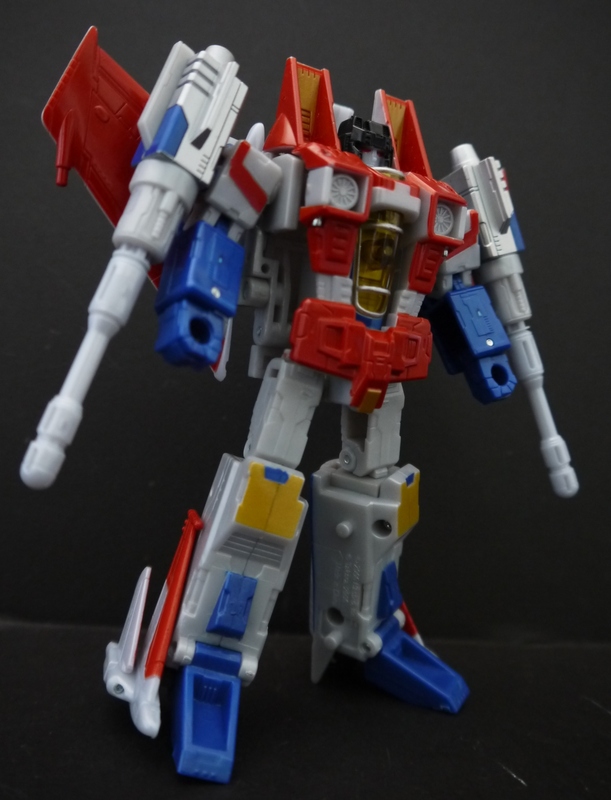 The only accessories included are Screamer’s null-ray cannons. 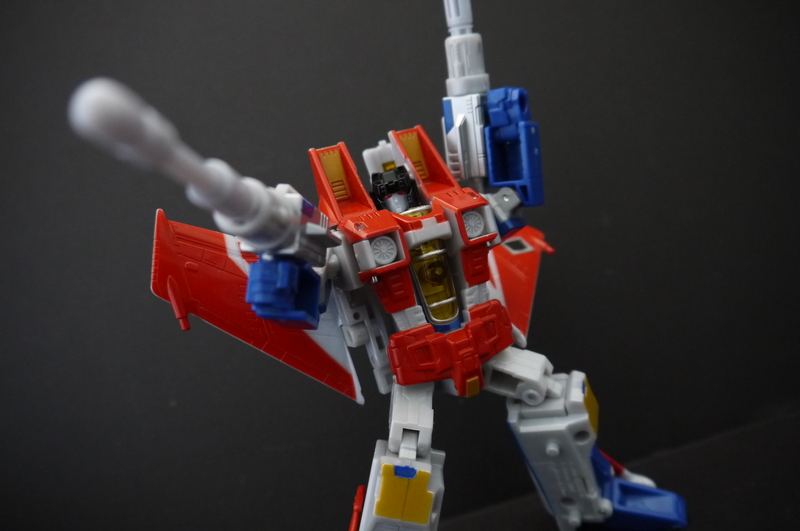 They’re missile-firing weapons on this particular figure. 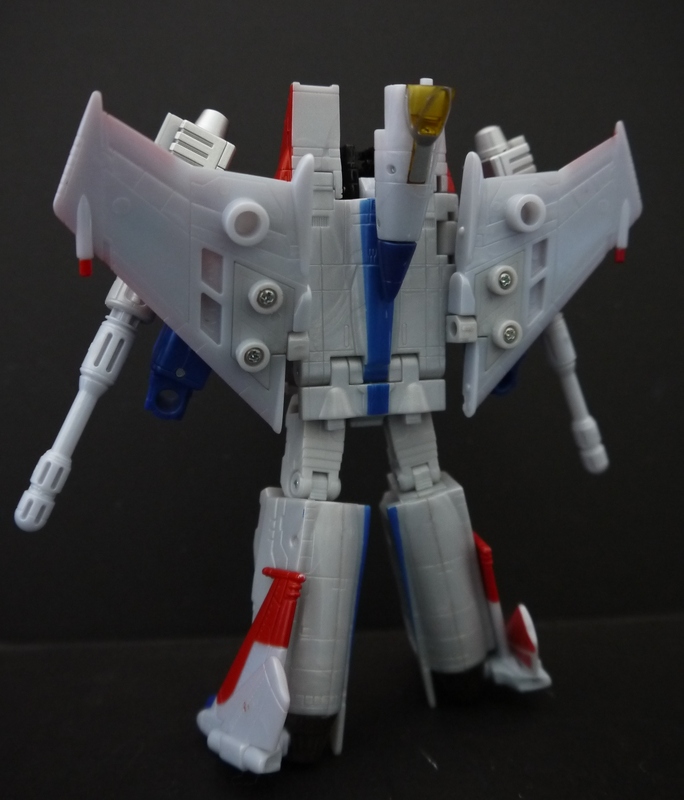 My biggest complaint with this though is that the null-rays are too bulky to be pointed outwards and sideways without hitting the wings and causing them to lean backwards. The arms cannot be turned upwards so the only way to pose the cannons firing is as seen above. Head articulation is somewhat limited; it can only turn as much as shown above. 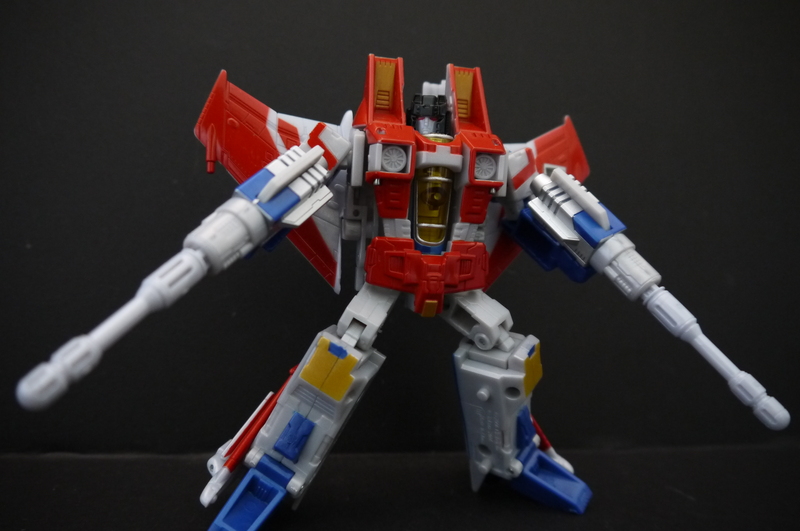 In retrospect Screamer looks very…toyish. Not a bad thing though, original color palette was such. 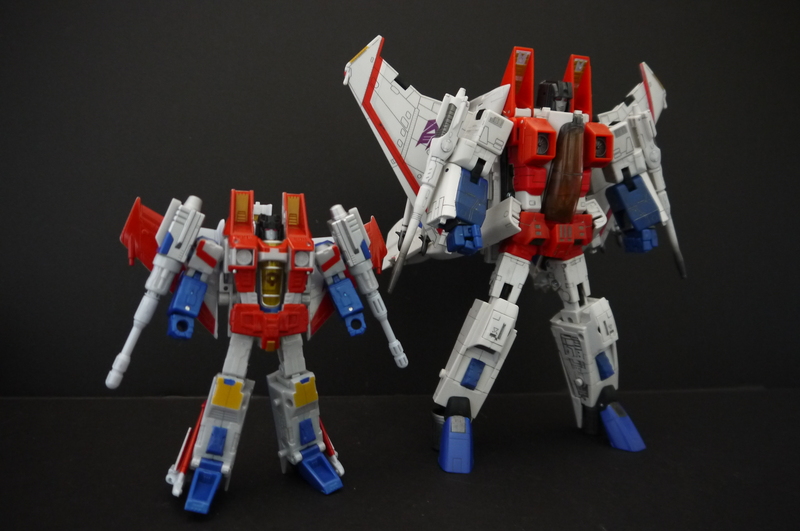 A little comparison with Masterpiece Starscream. Note how Classics Screamer has a darker shade of gray for his main body, while the Masterpiece uses white. Articulation is basic, though advanced for a Transformer. The articulation isn’t limited much by the actual transformation; Screamer still gets the standard elbow, knees, legs, and head stuff done pretty well. 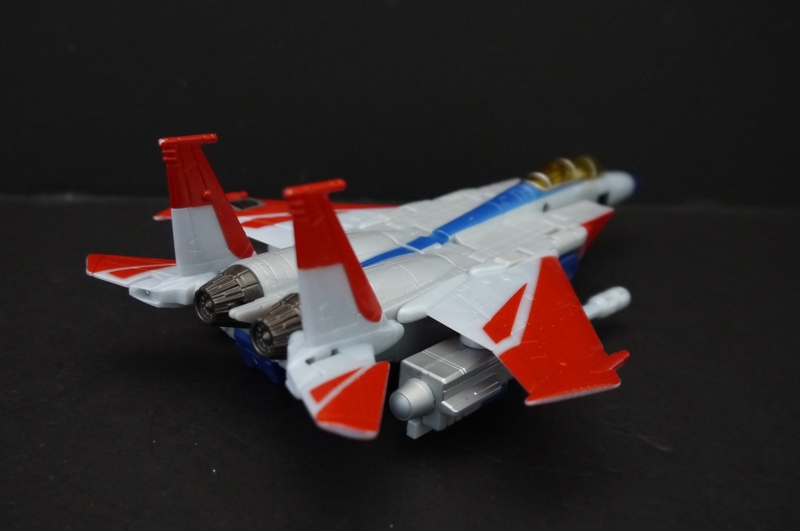 F-15 Jet mode. Simple, elegant, (not really) and not too much kibble. Screamer’s transformation is actually very basic and doesn’t really require much. There’s some nice detail in the thrusters, and overall the entire vehicle form is just very compact and simple. Nothing too complicated, gets the classic look down effortlessly. 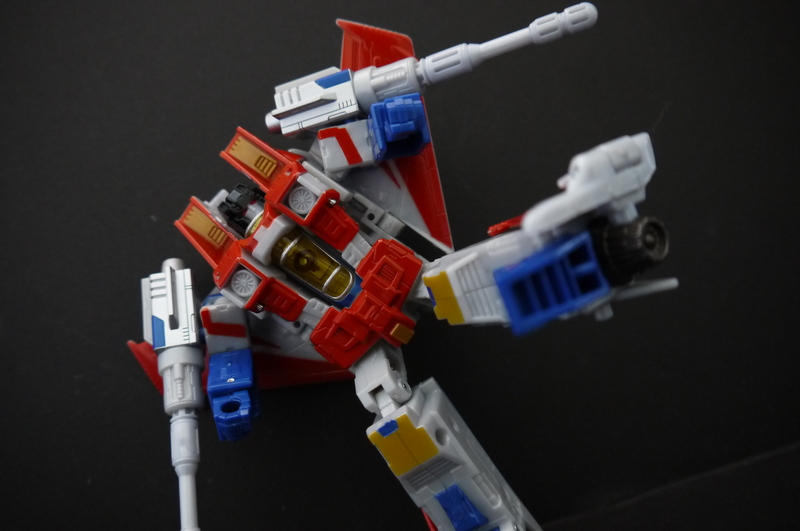 All in all I can’t really say much for Starscream other than he’s a solid, classic figure. 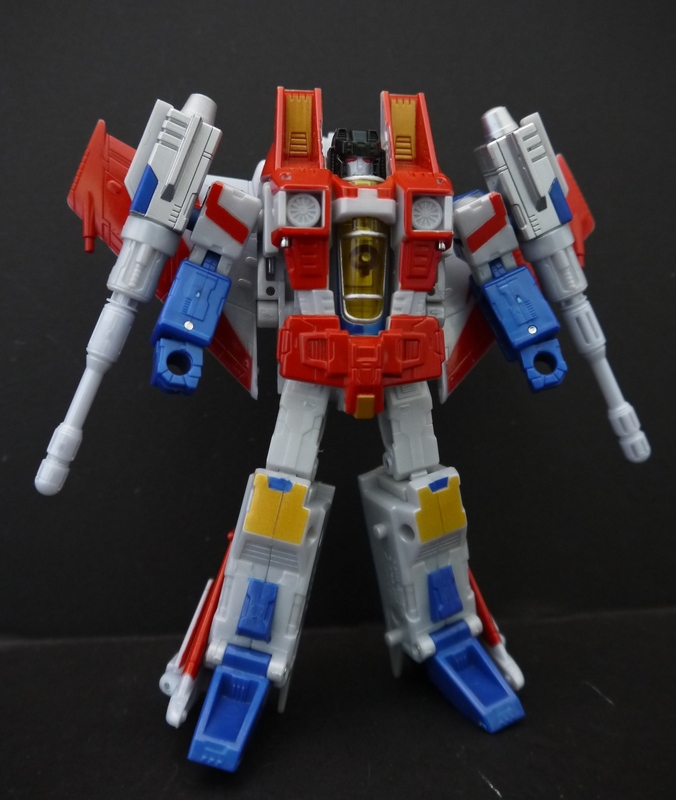 A great representation of his G1 self, and still relatively inexpensive to this day. There’s not too much going on with him, and if one were to go through the trouble of actually panel-lining him, it would definitely add to the aesthetics.